Thanks to Vectogravic Designs for this awesome Mockup! 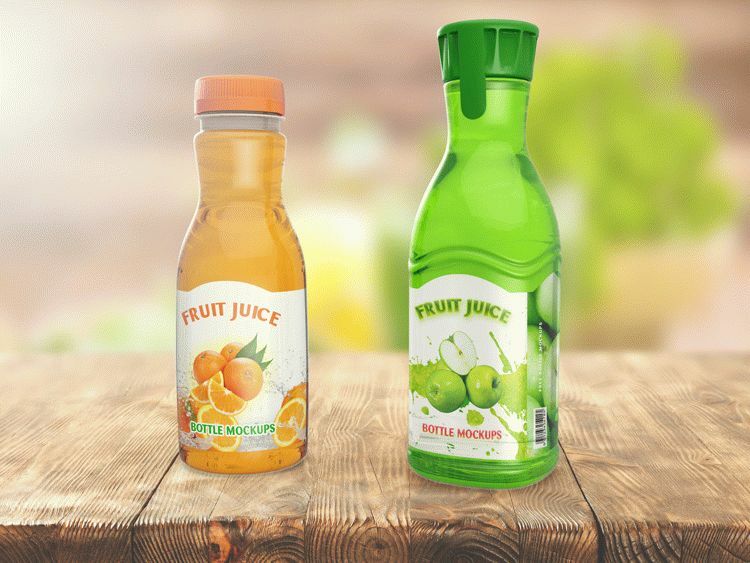 This is a mockup showing two types of fruit juice bottles, which may be useful to add to your mockup collection, especially the mockup template for a drink bottle. This mockup template is very easy to customize, to change the type or color of the water just click on the color picker, choose the color you want and the juice turns into yout liking. This is a medium PSD file with 3000×2250 px size and the resolutions is 72 dpi. Download it for free and keep share.